The Edmonton International Fringe Theatre Festival doesn’t stop and neither will we! 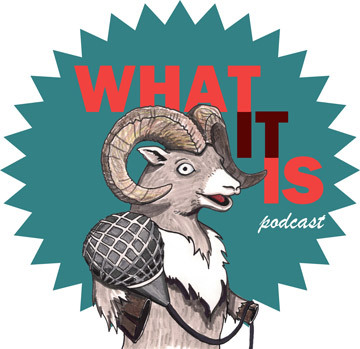 Let the guys from What It Is help you figure out which shows to see as part of the festival. Get to know the artists from: I Was a Sixth Grade Bigfoot, Kiss Around Pass Around, Words & Music, The Famous Haydell Sisters, Loris & Beaver Play Bingo, Double Double: The Musical, Shout!, Pacific Time, Tourology, Helmut’s Big Day and Letters to West 113th. We’ve got even more fringe promos available at whatitispodcast.com or on iTunes. Get it in your ear holes!